Anyone who gets behind the wheel and operates a motorized vehicle in the USA needs to be insured because it is mandatory in each state. For several reasons though, the time you may need auto insurance coverage can vary by quite a bit. Your automobile might be in the repair shop for a couple of weeks, and you need to borrow a friends vehicle that is not in use. Alternatively, you might have a job assignment in another area for several months and need to get covered temporarily. The main reason though is cost. Most people need cheap monthly auto insurance because they do not have enough money saved up to pay the entire six months or 12-month ins premium in full. Auto insurers have convenient payment options which allow you to pay your policy each month until the renewal period comes, which makes getting covered more affordable. 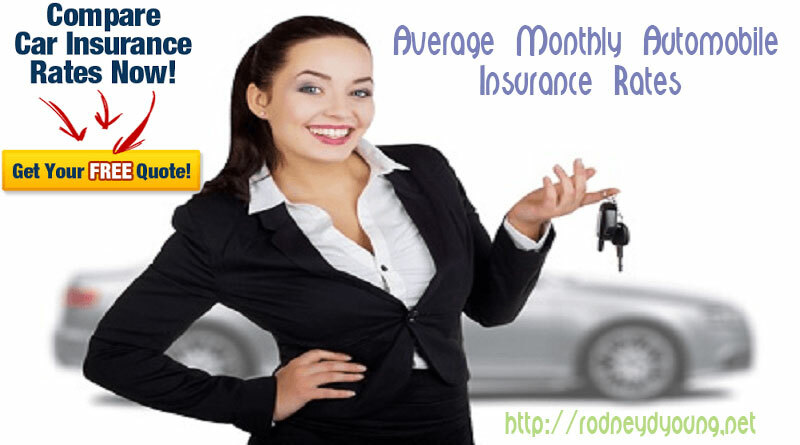 Get cheaper car insurance today with a rate checkup from Rodney D Young online. In the United States, the average cost of an annual policy is approximate $1,200. This stat is calculated by the average rates in all states and then getting a broad overall cost. This breaks down to around $100 per month. The cost of insuring your vehicle will depend on multiple factors, but the location is a big one. Some states, such as Maine, have lower annual coverage costs of about $950. Other areas like Los Angeles and Las Vegas have higher yearly vehicle ins costs. More rural areas, in general, offer cheaper premiums. There are, after all, fewer accidents in the country than in crowded urban centers. While car insurance has gotten more expensive the past few years, some states have seen a drop in rates. This includes Georgia and Arkansas. If you live in these areas, you should get a quote as soon as possible because you could be paying too much for your coverage. If you are locked into a yearly plan, get a Rodney D Young auto insurance quote and see of you can save 15% or more. Several states have also started graduated license programs for teen drivers. These initiatives have decreased fatal accidents and have lowered the cost of automobile ins for everyone. The bad news on price hikes comes from the west. Both Nevada and California have seen rates surge. Many factors are causing the spike in vehicle ins costs. One is an increase in claims from distracted driver accidents. California drivers seem to text and talk more while driving than other motorists in other states. An increase in accidents correlates with increased premiums. One of the main reasons Nevadan’s have experienced more expensive auto insurance is the huge population explosion in Las Vegas. Nevada’s biggest city by a lot, greater Las Vegas, has about 2 million residents. These people seem to party more, and you guessed it, get into more DUI and reckless crashes. Safe Las Vegas drivers that are accident-free can get good deals, but they need to compare multiple quotes at sites like RodneyDYoung on-line to save more. Here are some of the main factors that go into what you pay for monthly car insurance. When you apply for car ins, you will enter your zip code. This will play a part in your premium cost and is tied to accident frequency in your area. Age plays a huge role in the price someone pays for coverage. Those drivers 25 and under can expect to pay 50% to 100% more than a safe driver aged 40-45. While this angers many young motorists, who call it age discrimination, the accident facts for young drivers just don’t lie. Rates have to be high for teen drivers because they get into a disproportionate amount of crashes, especially testing and driving incidents. Cars that are super expensive cost more to insure. Newer automobiles will also have higher premiums, and if financed, you will be required to carry comprehensive coverage. Old cars that are not driven too much can get a basic liability only policy for about $29 per month. The best advice on how to get cheap monthly auto insurance is to go direct. That means cutting out insurance salespersons and buying more reasonable policy direct from insurers online. This simple tip can save you hundreds per year. Just apply for coverage at top portals like Rodney D Young and let the insurers fight for your business. Get started now and find a better plan at a lower rate.